Keeping busy with online shopping? Looking for a way to bless Ariel with your holiday giving? It’s now easier than ever to make a donation to American Friends of Ariel, just by making a purchase! Sign up for AmazonSmile here. 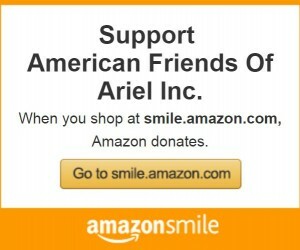 Every time you shop with AmazonSmile, Amazon will make a donation to American Friends of Ariel. Simple as that!